Is Las Vegas Second hand smoke killing You? The latest Stats from the CDC say that 85 percent of Americans DO NOT SMOKE, but Las Vegas does not care. The Short answer is YES, second hand smoke is killing You in Las Vegas as well as everywhere. I am not sure there is any more dangerous place in America or maybe the world for second hand smoke exposure than Las Vegas. April 21, 2015, just after midnight New Orleans imposed a new law prohibiting smoking throughout the City including the Harrah's Casino and bars on the famous Bourbon Street. Las Vegas could follow the lead of New Orleans now or they could continue to look backward and ignore the health of visitors and workers in more than 90 Casinos all over Vegas. One of the many nick names for Vegas is "Sin City" but Everyone knows that New Orleans is much more deserving of that name and now they are ahead of Las Vegas in a very important health issue. This should be an embarrassment to the leaders of Nevada. I say Nevada because this smoking issue isn't as simple as it seems. It is a State law that allows each local County to allow or disallow smoking in Casinos but not in restaurants. The Strip is in Clark County but not in Las Vegas so it is the Councilmen that can change the law and for downtown it is the Mayor and the City council. 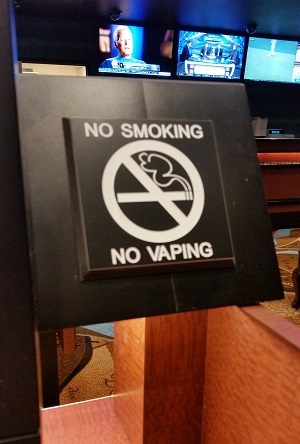 The Palace Casino, Biloxi, MS is now totally non smoking. Locals and tourist alike are rejoicing. It is now the only non smoking casino on the Mississippi Gulf Coast but more will follow because the success so far has been even better than expected. According to Smokefreecasinos.org smoke free Ohio Casinos are up 35 percent while neighboring smoking casinos are down. There are two forms of second hand smoke, according to Cancer.org, Sidestream and mainstream, one is worse than the other but both cause health problems, immediate and permanent. Another known authority on Second hand smoke is the CDC (Center for Disease Control, They have guidelines to avoid second hand smoke but none will work in Las Vegas unless lawmakers step in. The above Video shows an ignorant or just inconsiderate Mother smoking in front of Her Toddler while the Toddler is sitting in the Casino full of second hand smoke. Employees at these mega Resorts that are Publicly owned will be asked to join class action lawsuits for dangerous workplace conditions. And what is to stop the customer's from doing the same. 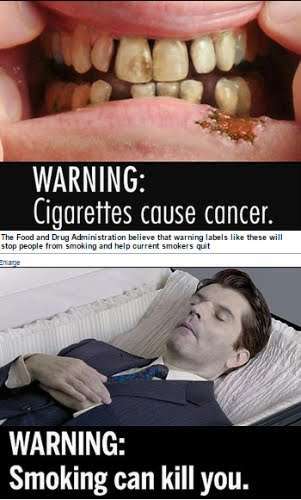 What about the Man that has been going to Caesar's for 40 years breathing second hand smoke and now has lung cancer? 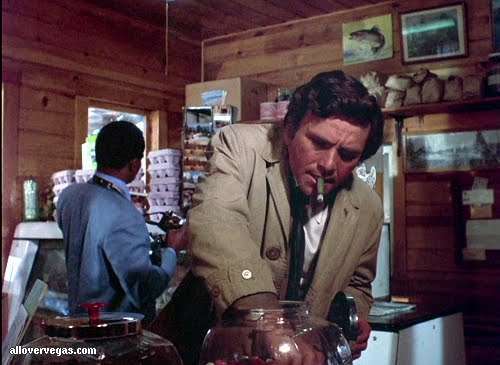 Remember when smoking a cigar even inside wasn't shocking? All poker rooms in Vegas are smoke free and have been for decades. Why poker rooms? Why are poker players allowed to go cancer free on their Vegas Vacation and slot players are not? Craps players need cancer? Roulette players deserve to have their clothes ruined by smoke? Now MGM Sports books are all smoke free but all Caesar's Sports books still allow smoking. Why did MGM do this and why didn't Caesar's follow when they saw it did not change the business at MGM sports books? It's like No One is paying attention. The sign above is what You run into as You walk into the Aria sports book. It is a very welcome sign to non smokers. I hope that others will follow suit. the problem with the Aria Sports book is a long walk from the sidewalk on the strip, therefore, does not attract a big crowd. It should not be a measure of the success of a non smoking area. 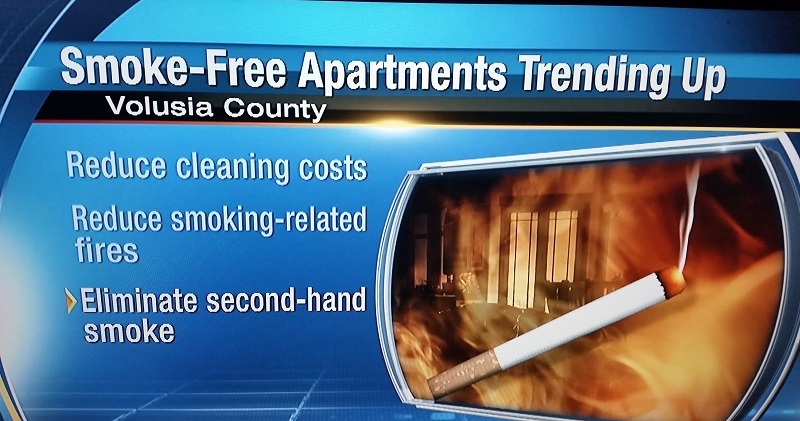 Apartments all over Orlando are offering non smoking throughout the grounds. Younger People are now insisting on non smoking. There are other smoke free sports books but those let smoking customers stand at the edge and blow smoke into the non smoking area which is pointless but at Aria it is a truly smoke free environment. You have to walk down a hall with two warnings about smoking and once in the book it is wonderful fresh air. Now ALL MGM owned sports books are smoke free which is a step in the right direction but most sports books are very close to other areas that are still allowing smoking. 25 years from now, You will over hear some young fellow sitting at a slot machine in some casino on the Las Vegas Strip: My Grandpa says that when He was my age People smoked right there in the casinos and blew it right in Your face. The other young person would say, "Your Grandpa is crazy, there is no way they would have ever allowed People to smoke inside a casino". 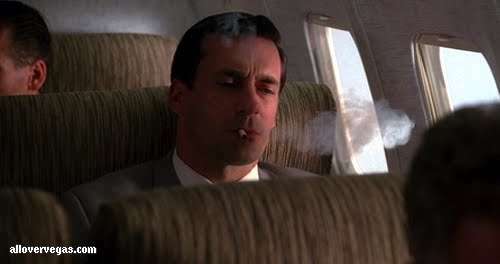 Remember when smoking in airplanes was the norm? 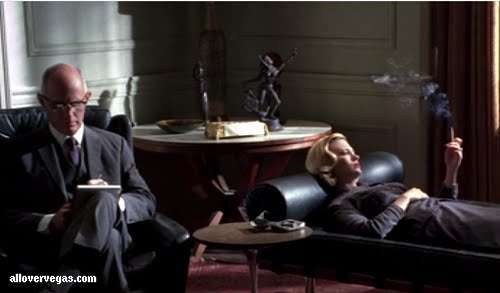 Most Young People do not believe You when You tell them You could light up a cigarette on an airplane, choking the entire plane with one puff. One day Casino smoking will be just as absurd. Smoking has aged many celebrities years beyond their actual age but what about second hand smoke, can it also mess with our skin?